Who Shall Become the Successor of Yanukovych? Ukrainian politicum after adoption the law on languages in the second reading have come to move. All political forces started getting ready in advance to the pre-electoral struggle – in autumn they shall fight for the places in the Supreme Council Verkhovna Rada. The same active is a pre-campaign on the Presidential elections, planned for 2015. Already now the favorites have been marked. Together with that the team of the President of Ukraine prepares a big Constitutional reform. Where shall this take Ukraine to? Who shall claim for the post of the President in 2015? 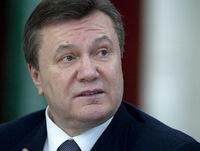 Whether the team of V. Yanukovych breaks? Why does the acting President of the country need the Constitutional Assembly and which subjects shall be the main ones in its work? Ukrainian experts answer “Plitcom.ru” on these and other questions. Vasilij Stoyakin, Director of the Political Marketing Center (Kiev): Now V.Yanukovych, A.Yatseniuk and V.Klichko can seriously claim for the post of the President. However, much shall depend on the results of this year elections and the course of political situation further. One thing we can say definitely – Yanukovych shall not be the president second time (on this occasion there is consensus of all the countries involved). And thus his team, except of those absolutely hopeless ones, shall seek for his deputy. He can be S,Tigipko (there are probably no other public personalities). As minimum, there shall be a break for those who will not survive without Yanukovych and those staking at other(s) personality(ies). As far as we can understand, the change of the Constitution is the element of a common part of the program of deep liberal reforms. The main task, as it is supposed, limitation of social rights of citizens within the frameworks of the held policy of “social default”. It’s enough to remember the scandalous law on guarantees of court decisions execution to understand the urgency of court sphere reformation to limit the options for court defense of the rights of citizens. And together with that a number of small amendments can be introduced which shall withdraw the contradictions in the main text of the Constitution, or which shall specify it. Pavel Ruyakov, reporter (Donetsk): V. Yanukovych, Y.Timoshenko, A.Yatseniuk, “Dark Horse”. The team of the acting President shall break, and by this not into two but into 4-5 groups at once. The Assembly is urgent to solve a whole number of tasks, or at least, to create conditions for their solution. The first stage tasks are improvement of the image of V. Yanukovych as a reformer and “progressist”, involvement into cooperation with Bankova of maximum possible at the moment circle of people and groups of influence from the number of those, who haven’t yet defined clearly the party to support (the power or the opposition), bowing important and symbolic reverence to Europe, obtaining of serious handicap of one of the teams in the environment of the President (the one which controls today everything which is connected with the Assembly). The main subjects shall include: introduction of corrections into arrangement of the state power system, align the Constitution in full accordance with the best samples, possessed in Europe, fixing of “Ukrainity” of Ukrainian state. Except for that, the new Constitution shall have to create legal tools to privatize GTS and other objects of energy sector, which yet are not subjected to disposal from state propriety.